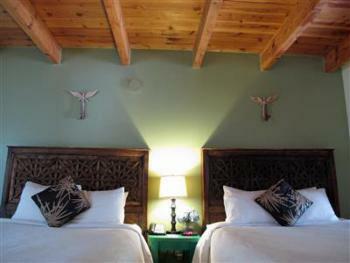 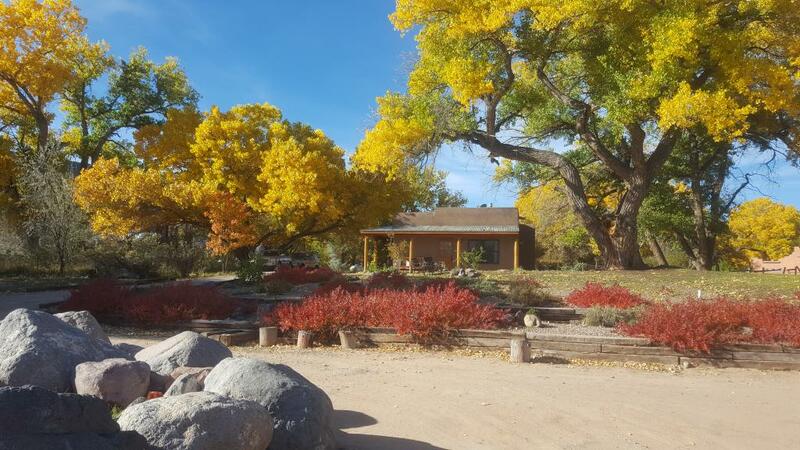 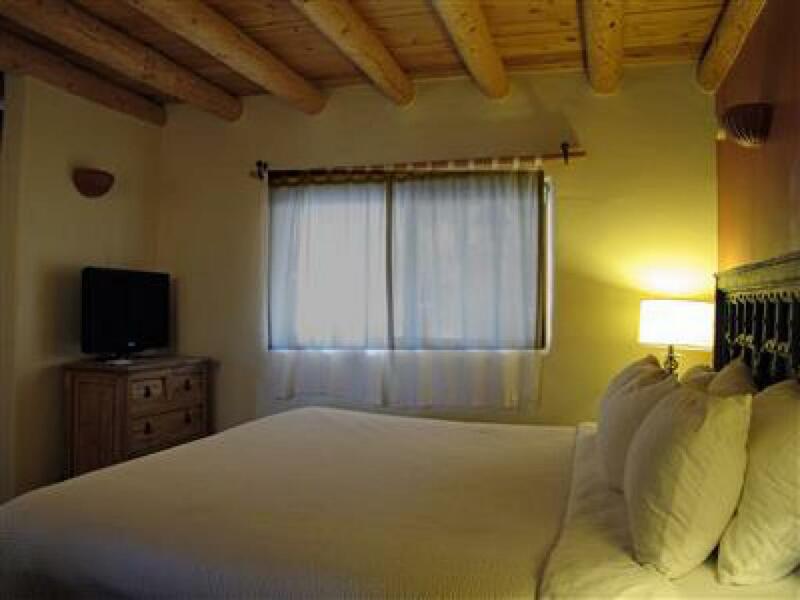 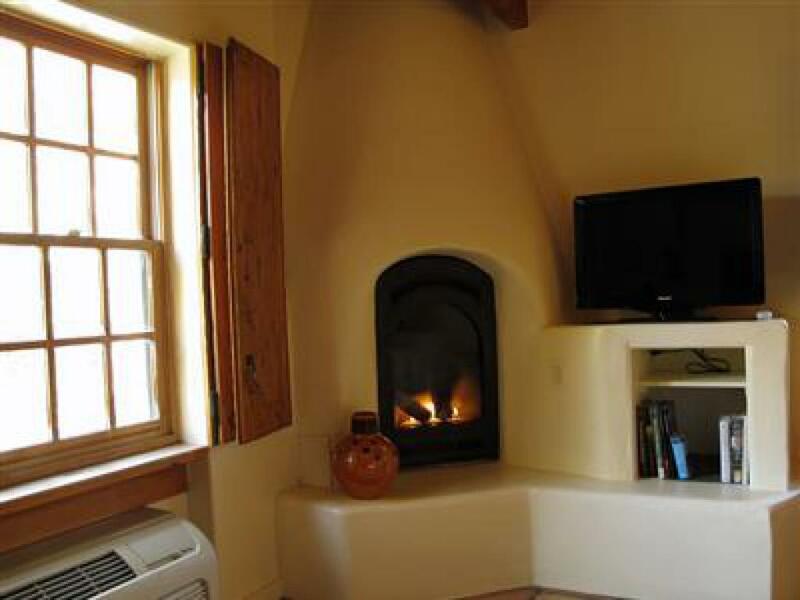 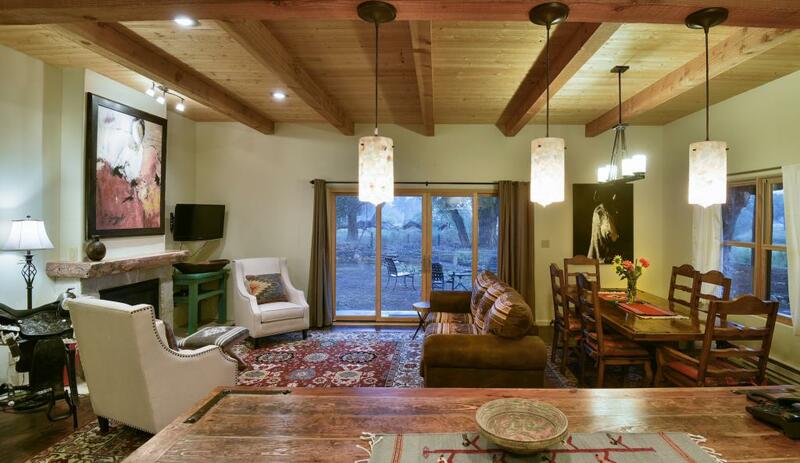 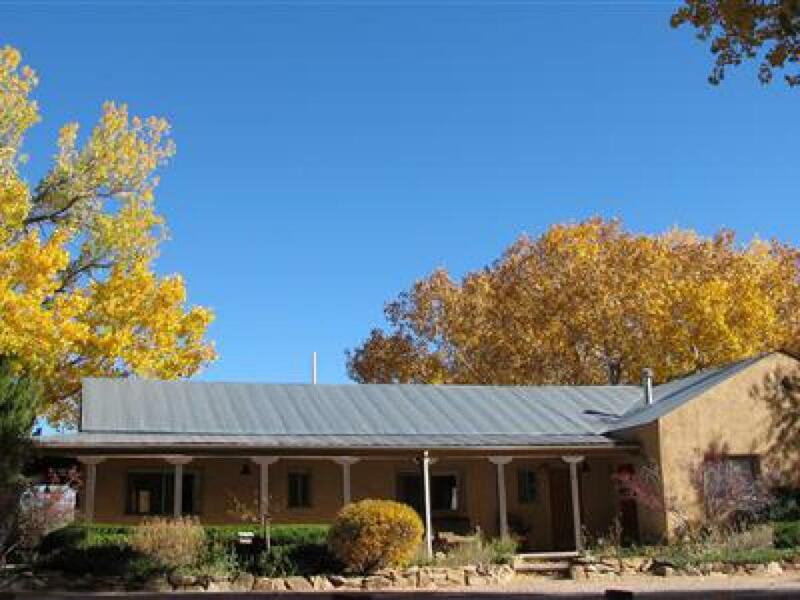 Drumlin House is perfectly located on a small rise to the pasture and river side of Abiquiu Inn. 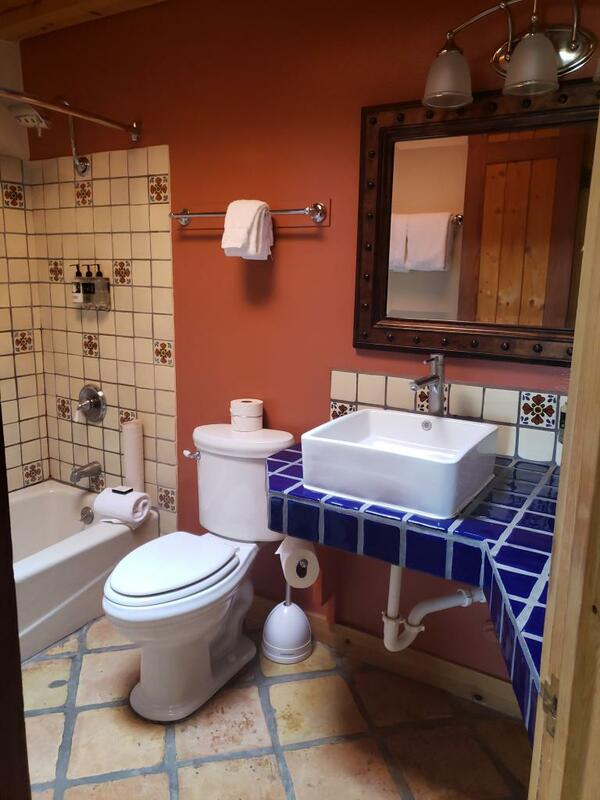 An intimate house with two bedrooms and two bathrooms. 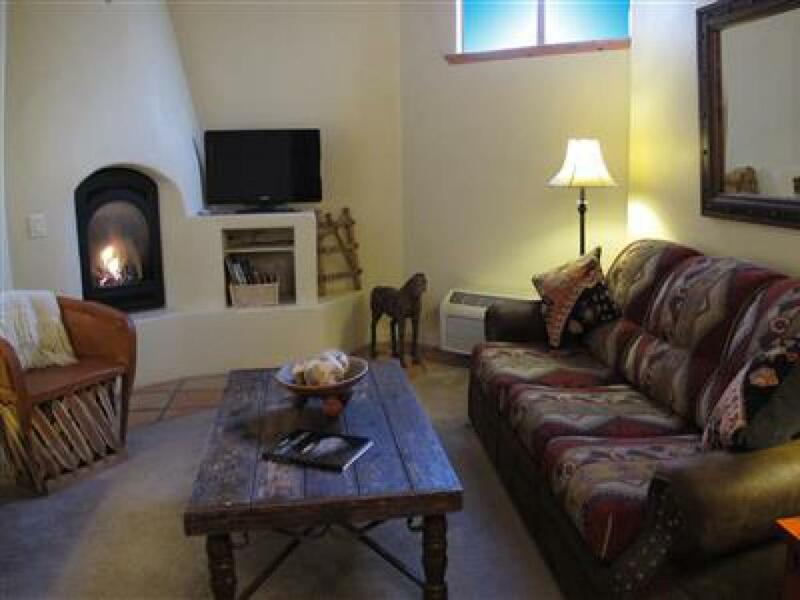 Beautiful bright central living areas with doors onto a patio overlooking Red Mesa and Plaza Blanca. 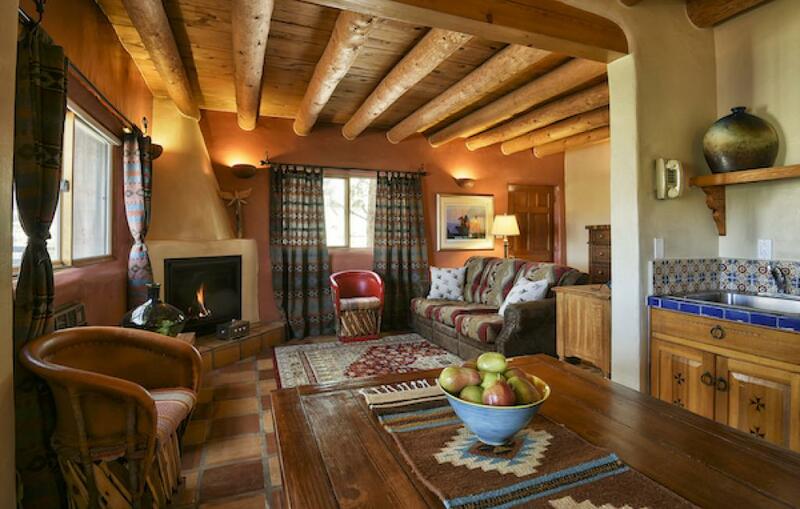 The living area encompasses a relaxing sitting and rustic dining area all with views over the pasture toward the Chama River. 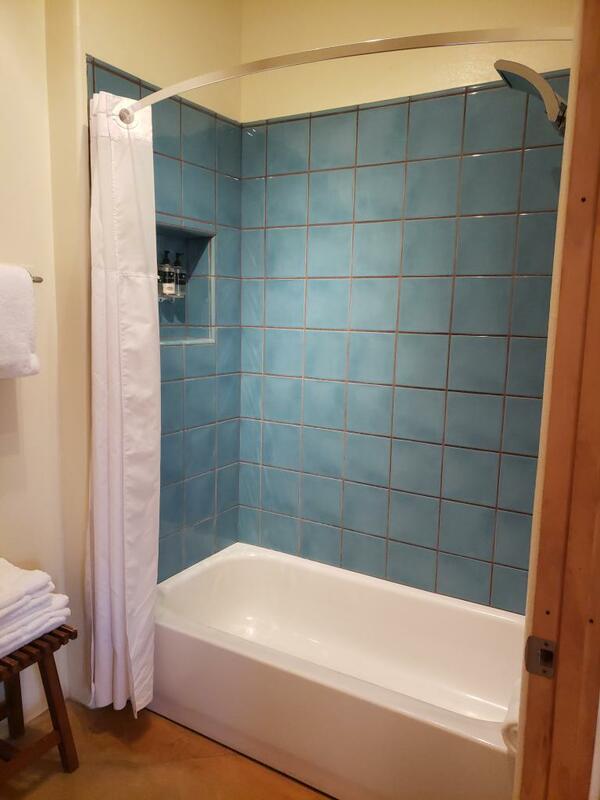 Drumlin boasts a full kitchen with pantry, temperature controlled wine cooler and full laundry, A Private drive leads to this sought after house. 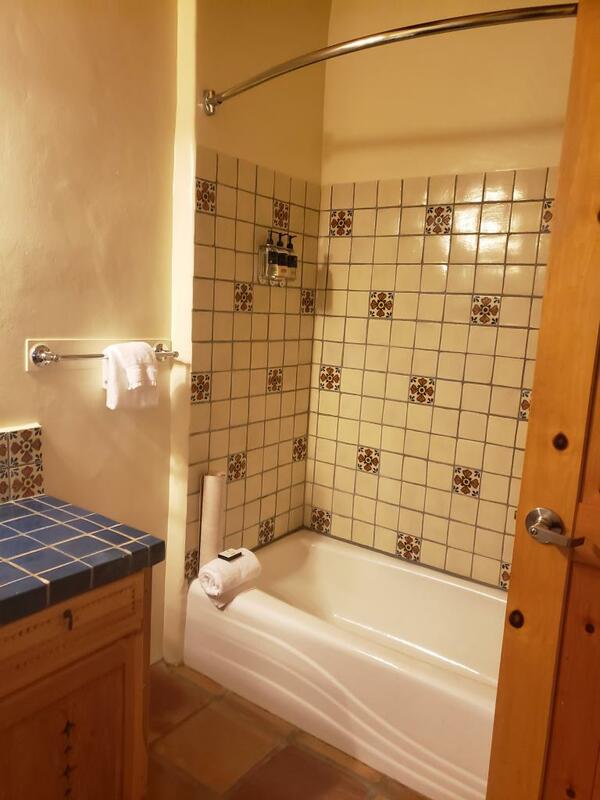 Excellent location for guests who desire a little extra privacy. 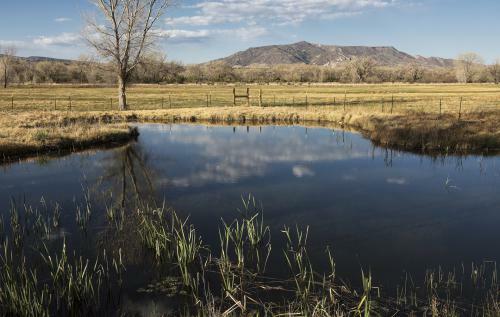 Drumlin, from the Irish word droimnín ("littlest ridge"), was first recorded in 1833, and in the classical sense is a hill in the shape of an inverted spoon or half-buried egg formed by glacial ice. 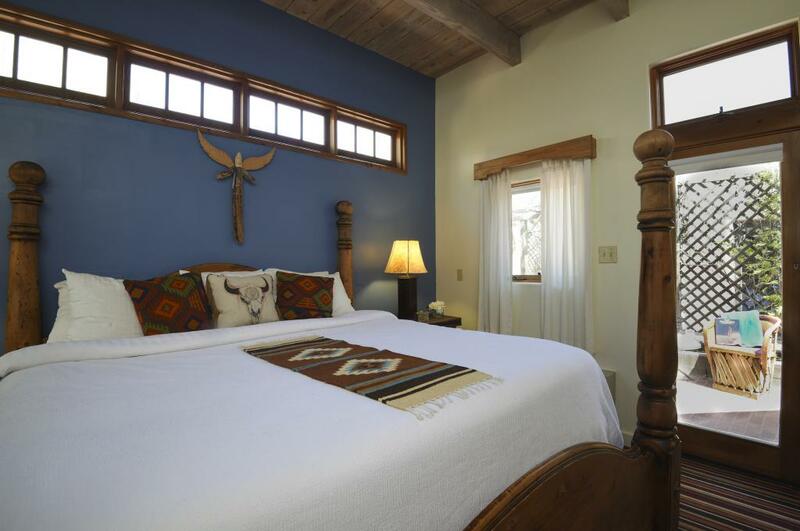 Nestled beneath giant cottonwood trees, these adobe-style casitas feature two private bedrooms, each with a luxurious pillow-top queen bed; kitchenette; dining & living area; cozy woodburning stove; private parking; and BeeKind bath amenities. 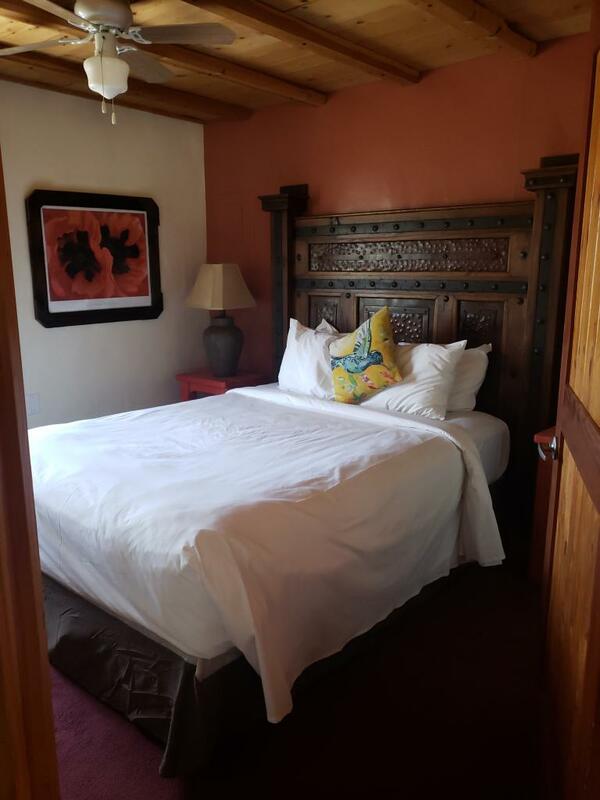 Vibrant colors & warm accents welcome you to this lovely room with two luxurious pillow top queen beds, kiva fireplace and BeeKind bath amenities. 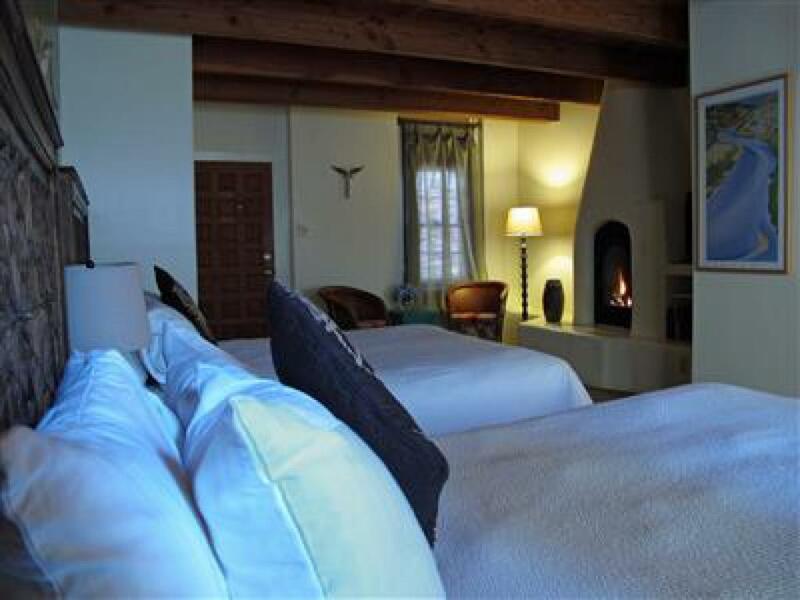 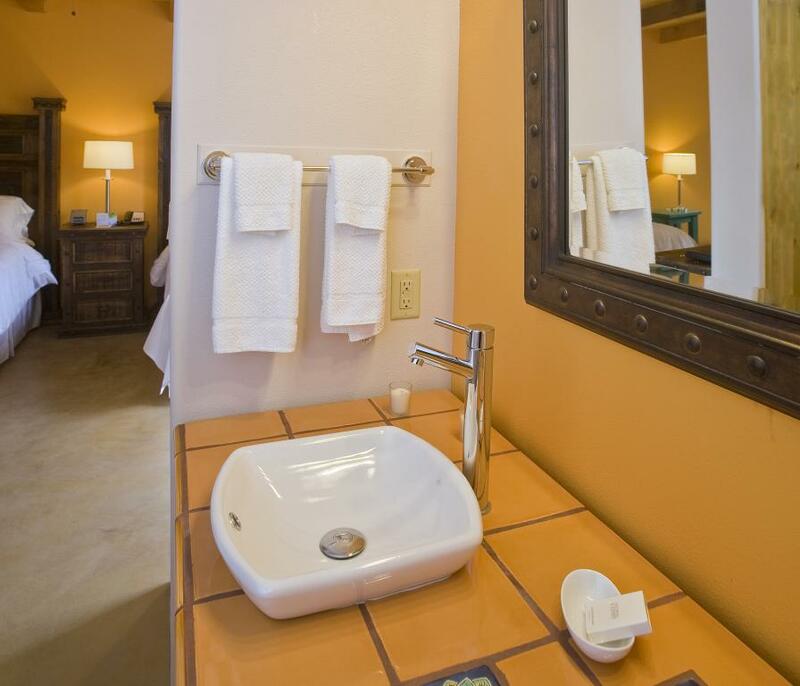 Each room adjoins a charming hacienda-style courtyard, perfect for morning coffee and evening chats. 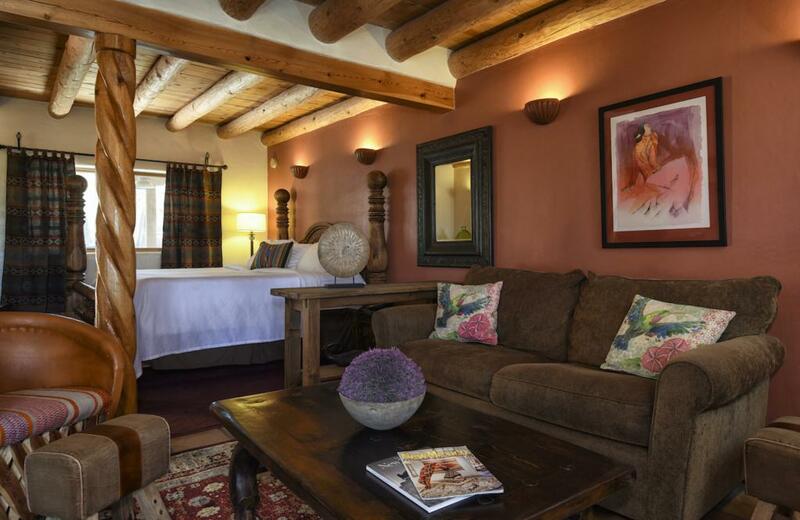 Vibrant colors and warm accents welcome you to this beautifully decorated room, featuring a luxurious pillow top king bed, kiva fireplace & BeeKind bath amenities. 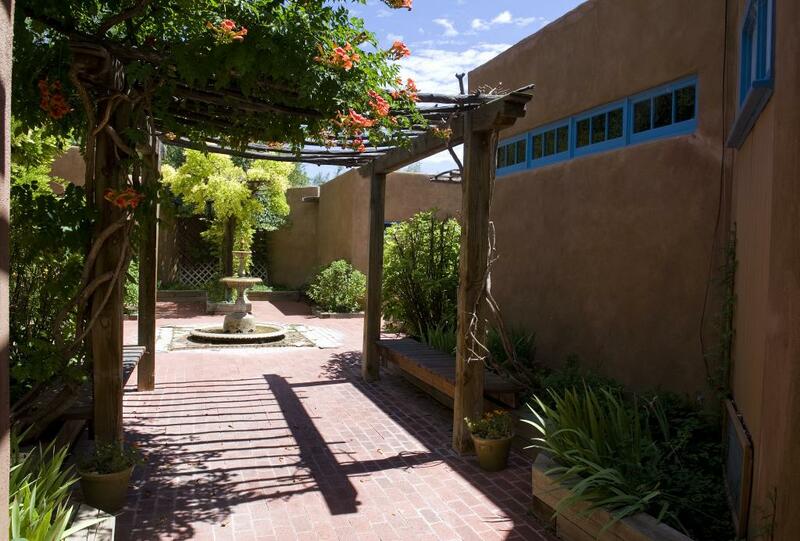 Our lovely hacienda-style courtyard is nearby, perfect for morning coffee and evening chats. 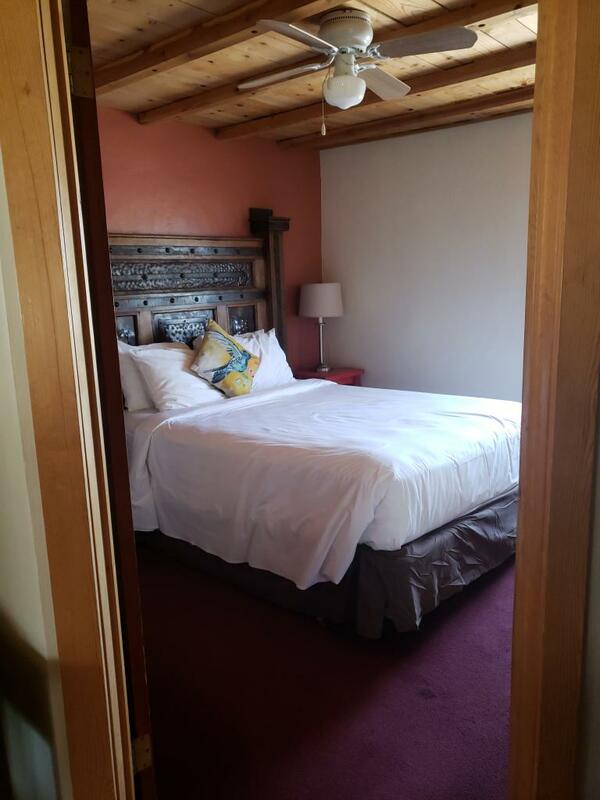 Vibrant colors and warm accents welcome you to this beautifully decorated room, featuring a luxurious pillow top king bed, kiva fireplace & BeeKind bath amenities. 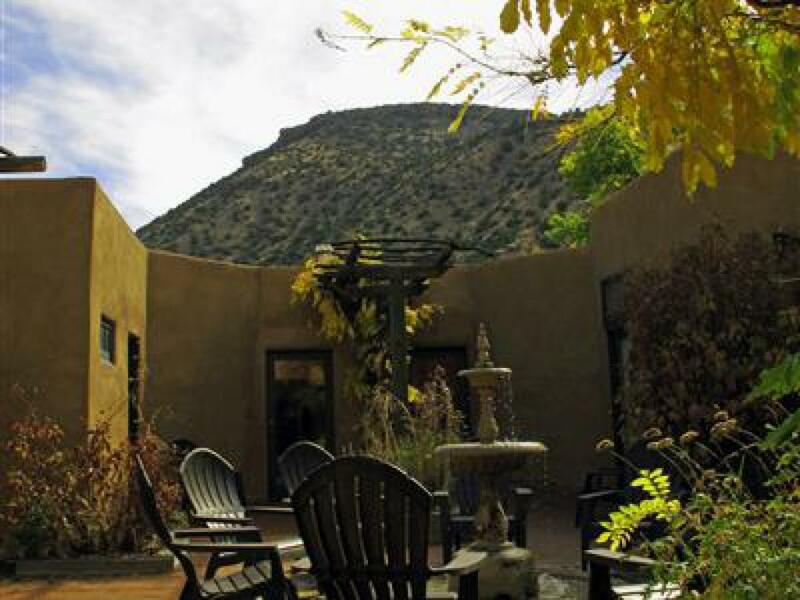 Our lovely hacienda-style courtyard is nearby, perfect for morning coffee and evening chats. 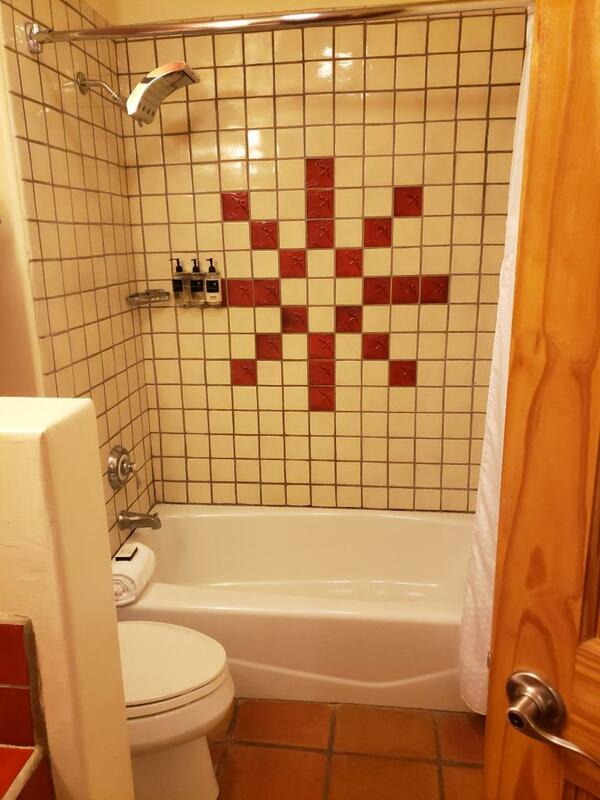 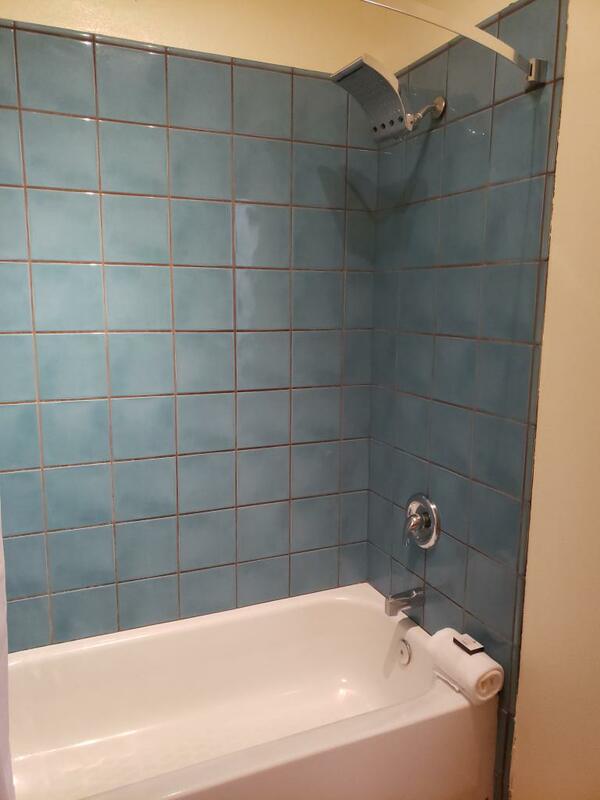 Room has roll in shower, grab bars in shower and toilet. 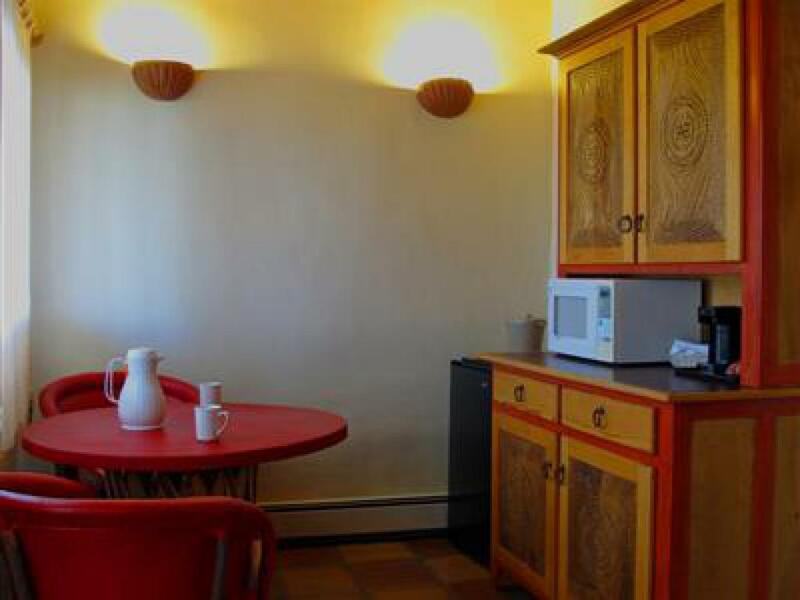 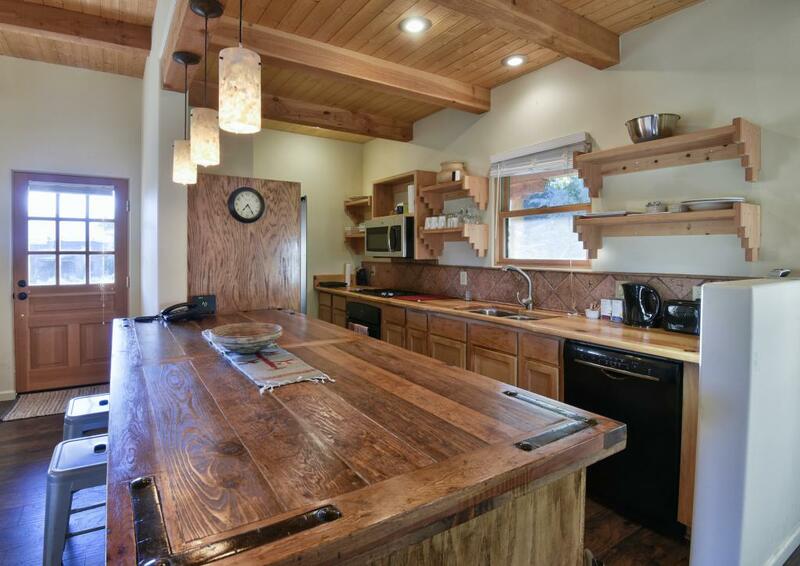 Complete with dining & living areas, refrigerator, microwave. 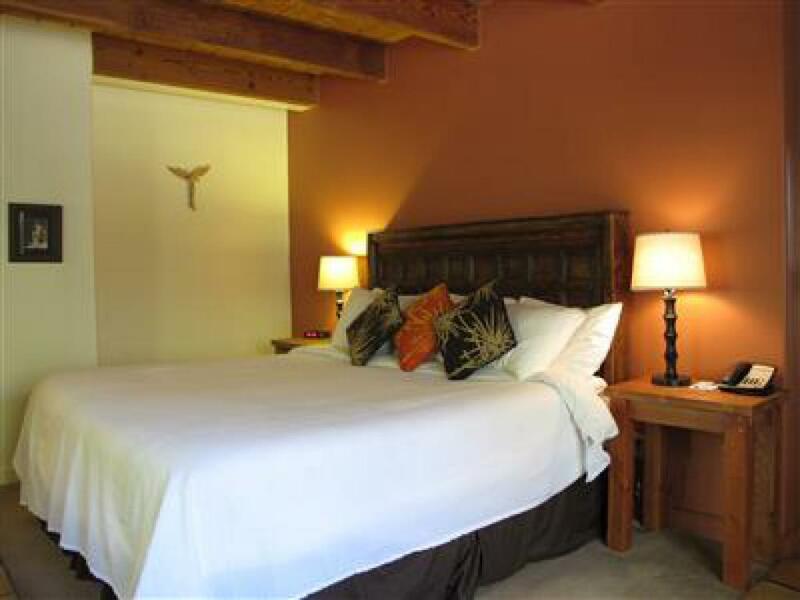 Each spacious and private casita features a luxurious pillow-top king bed, viga ceiling, woodburning fireplace & BeeKind bath amenities. 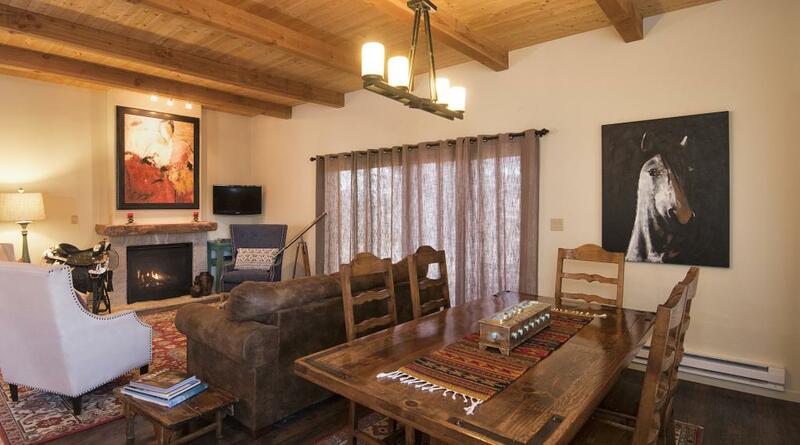 Enjoy your very owned screened-in veranda with hammock and rocker overlooking mountain-framed pastures. 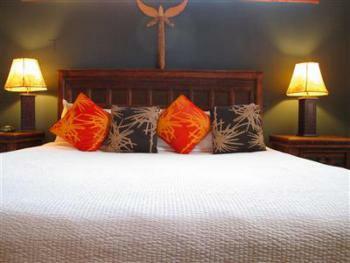 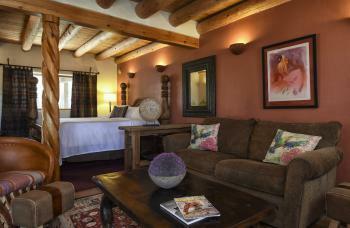 Stunning southwest decor in this two-room suite will soothe your senses with luxurious comforts. Plush pillow top king bed, kiva fireplace, viga ceilings, saltillo tiles & BeeKind bath amenities. 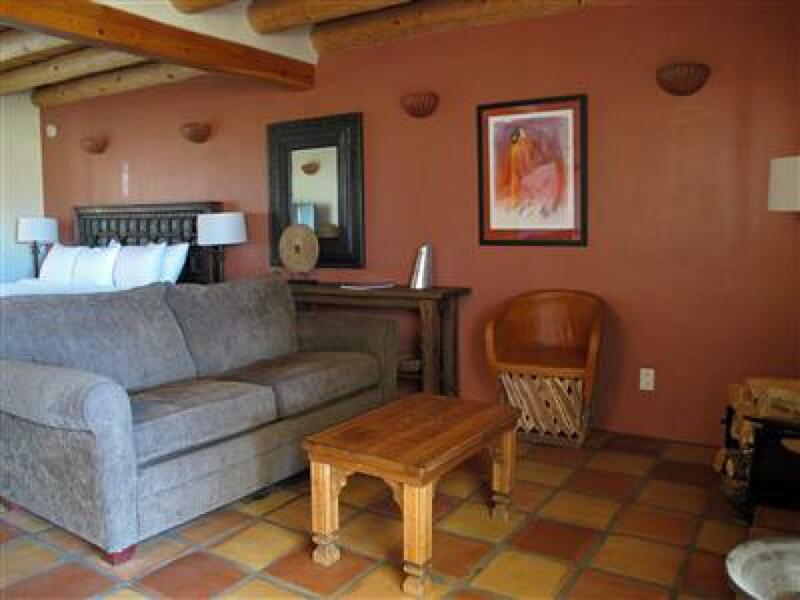 Your suite opens on to a hacienda style courtyard, perfect for morning coffee or evening chats. 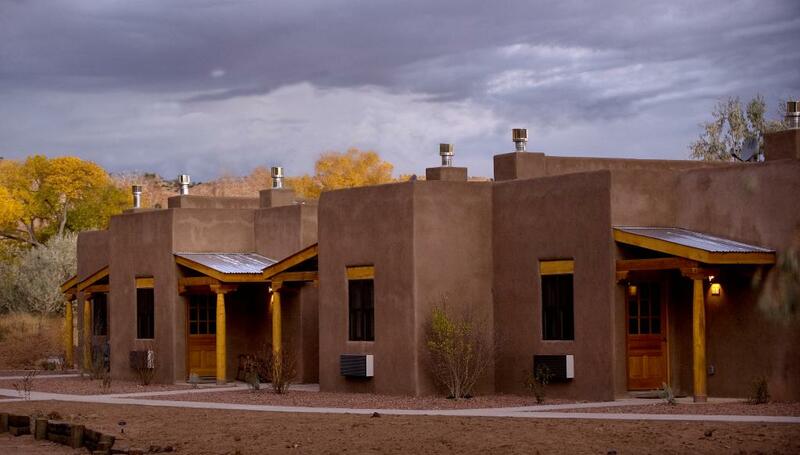 Our newest addition, the Red Mesa Suites, are tucked into an area of the grounds that provides broad sweeping mountain views and lovely sunsets. 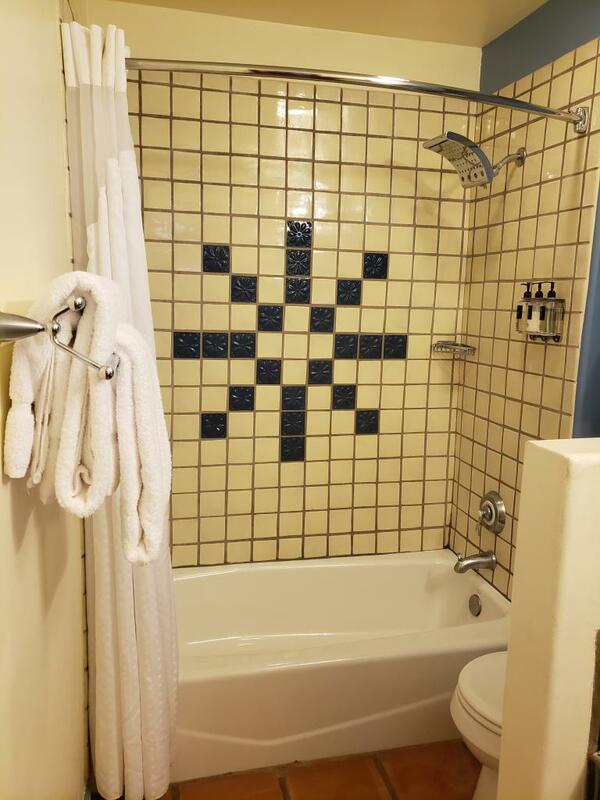 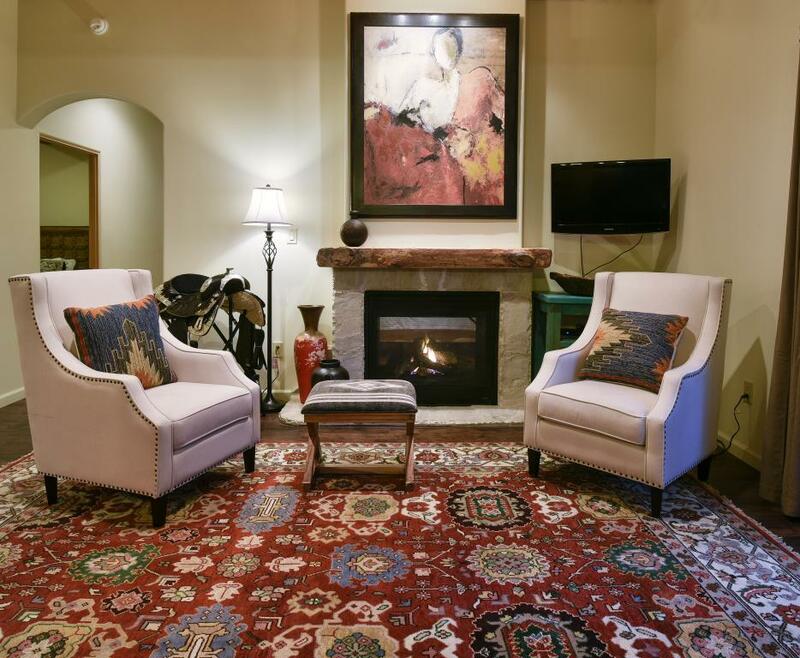 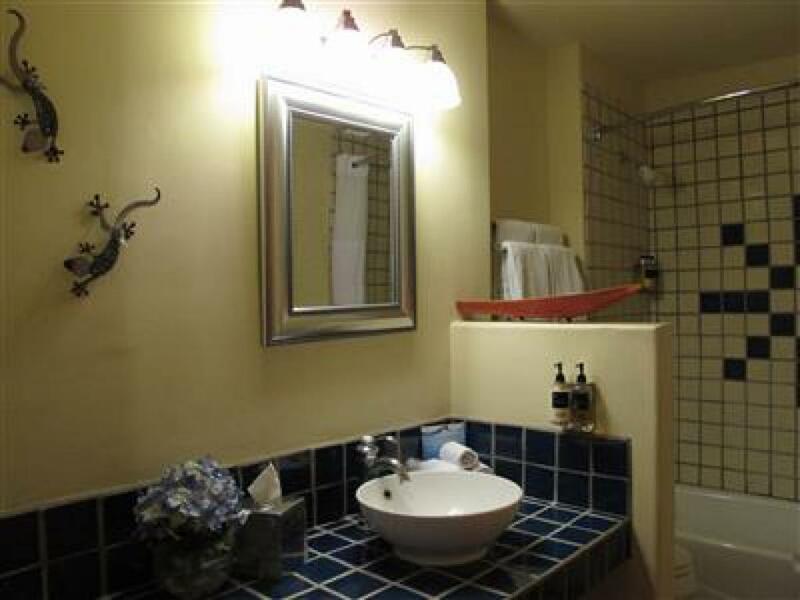 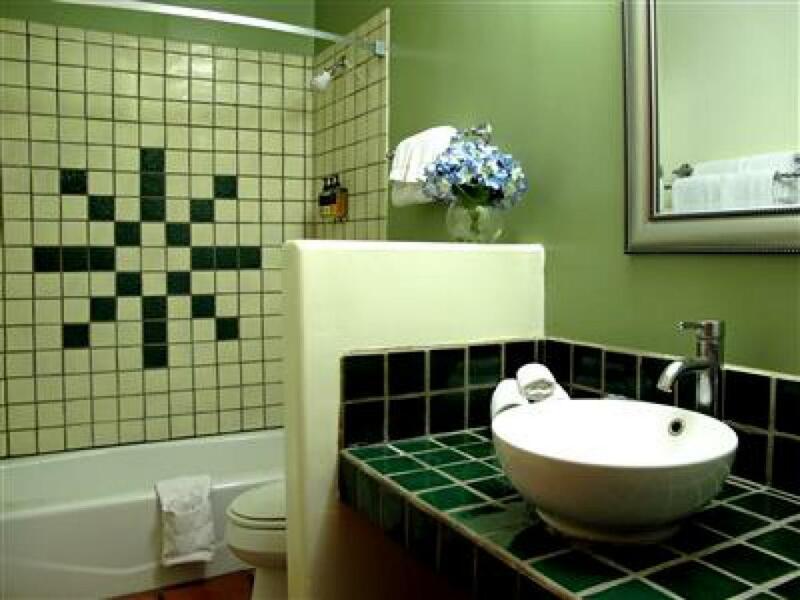 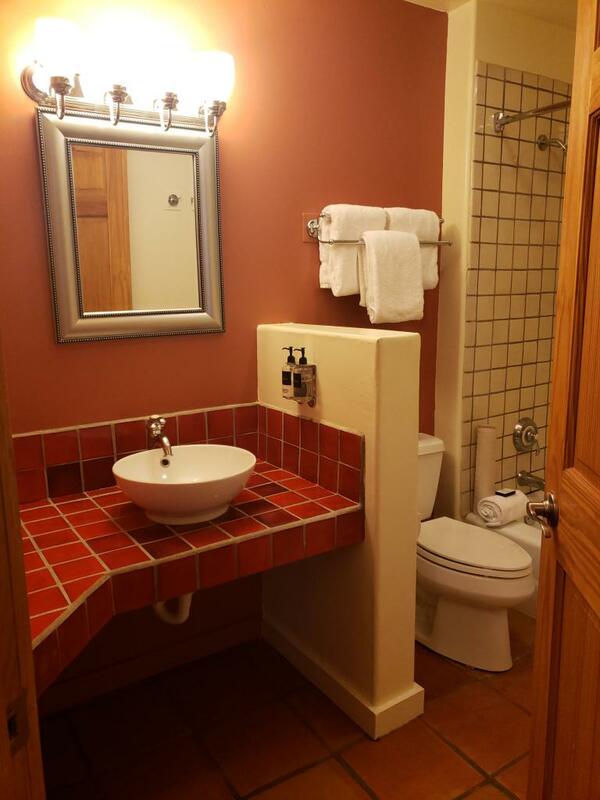 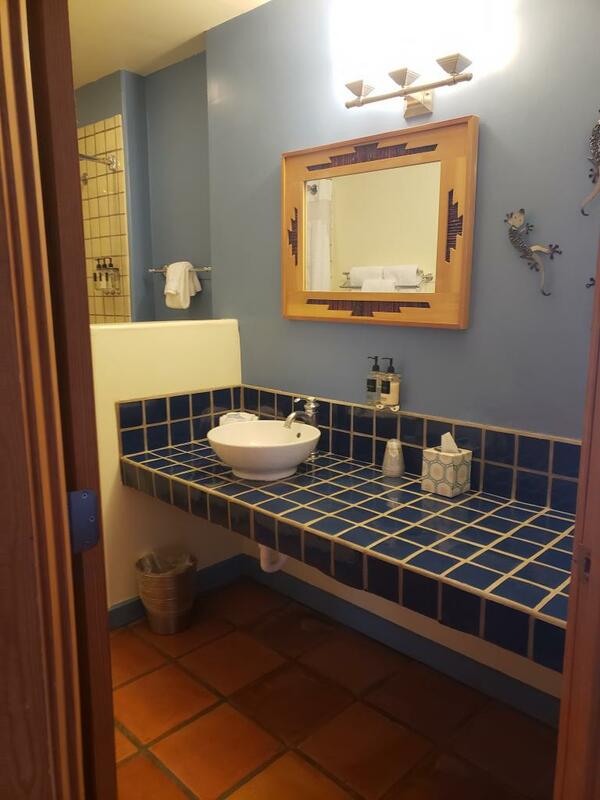 These beautifully appointed and spacious rooms feature stained concrete floors with southwest style rugs, two queen sized deluxe pillow top beds, gorgeous tiled baths, BeeKind bath amenities, gas Kiva fireplaces and an outdoor patio. 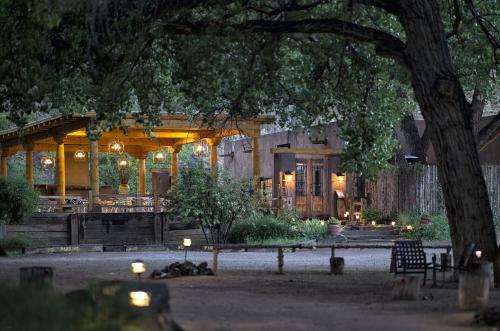 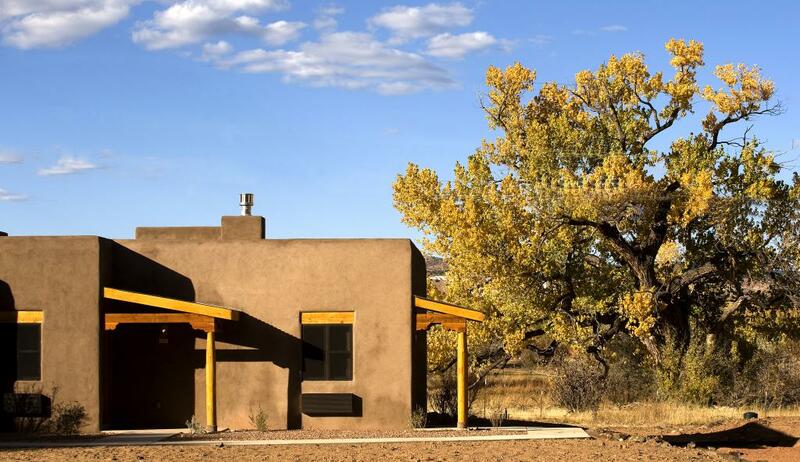 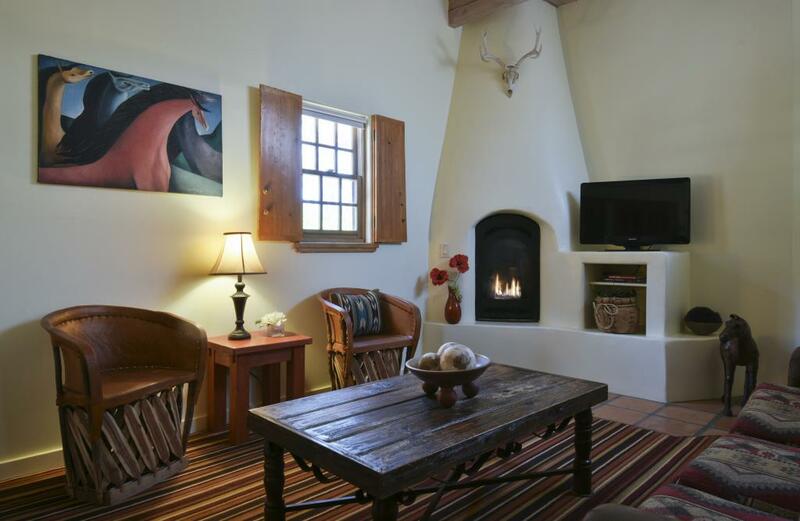 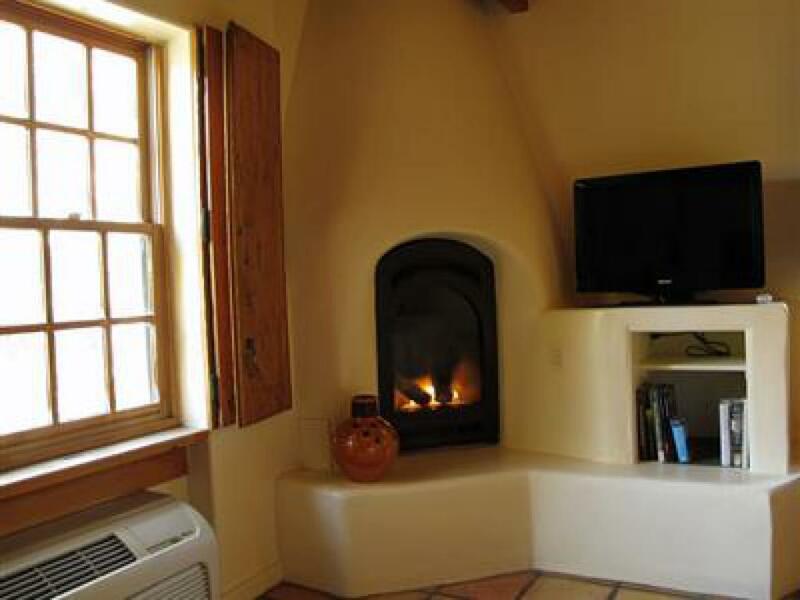 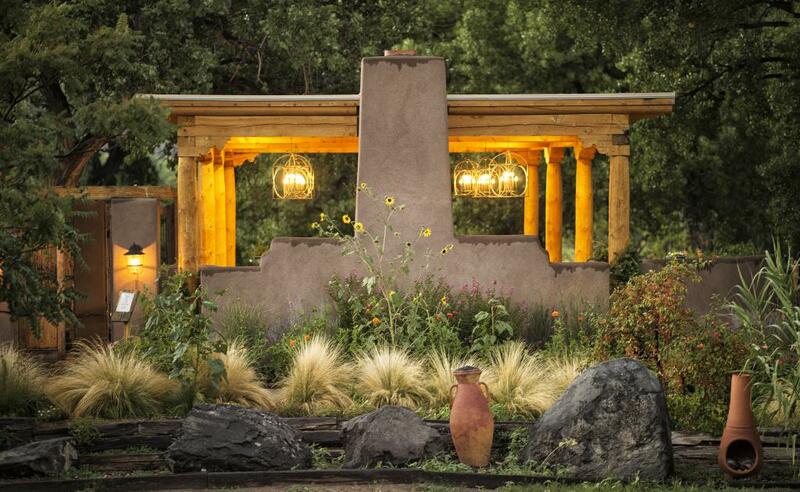 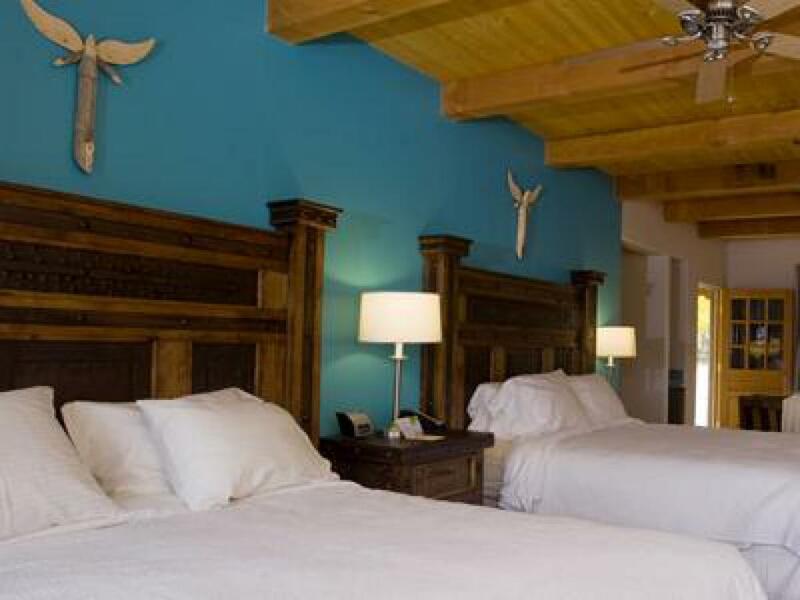 Nestled among the majestic cottonwood trees, Abiquiu Inn provides lodging, dining and shopping experiences appealing to those adventurous and curious travelers who have an appreciation for the long history, unique culture and natural beauty for which the regions is renowned. 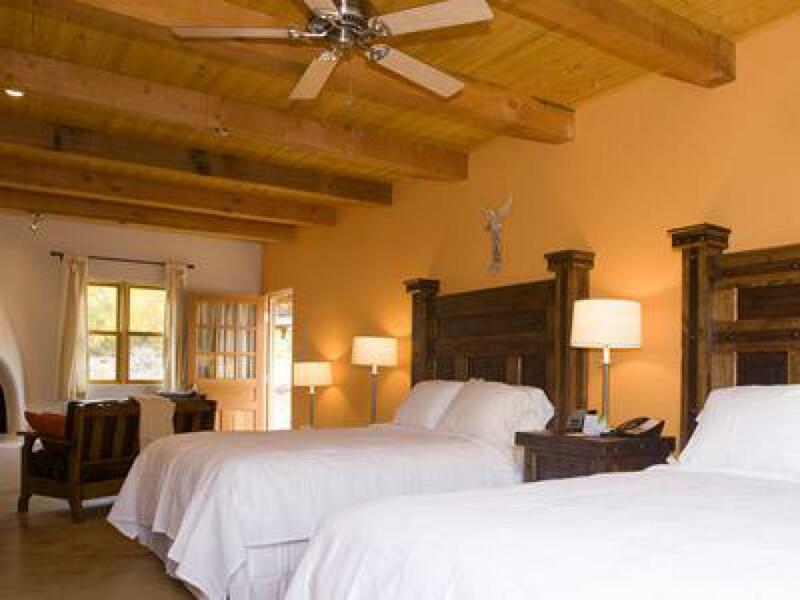 The Inn offers comfortable and well appointed guest rooms, suites, casitas and homes, each unique in design but all offering amenities including fireplaces, refrigerators and wireless internet. 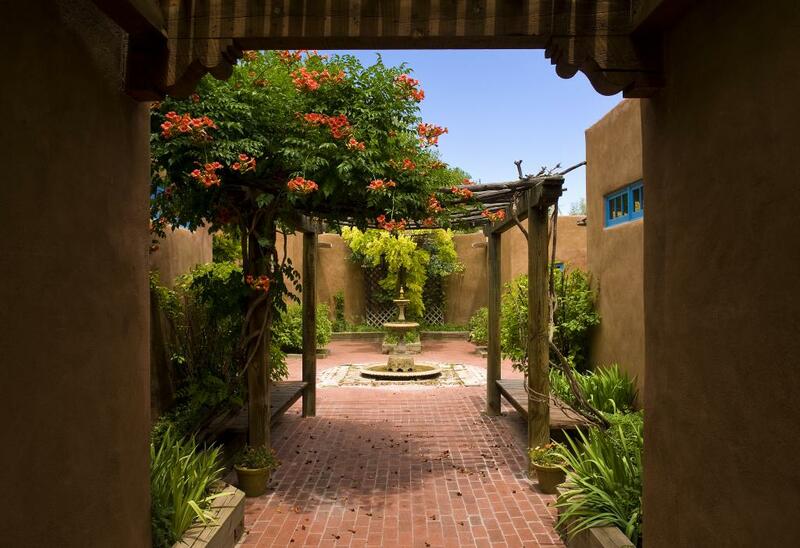 Many rooms have a private patio area or open to a garden courtyard. Take a walk around the garden areas and view the current sculpture exhibition or simply find a comfortable viewing point to see the magnificent night sky. 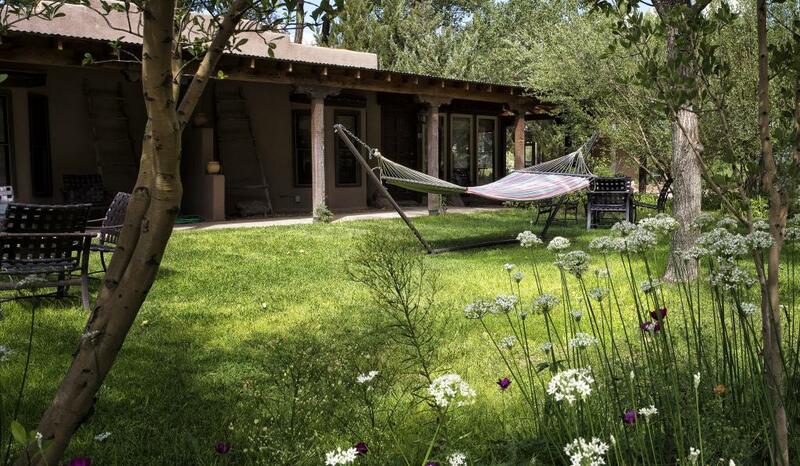 There are always ways to connect with nature in Abiquiu. 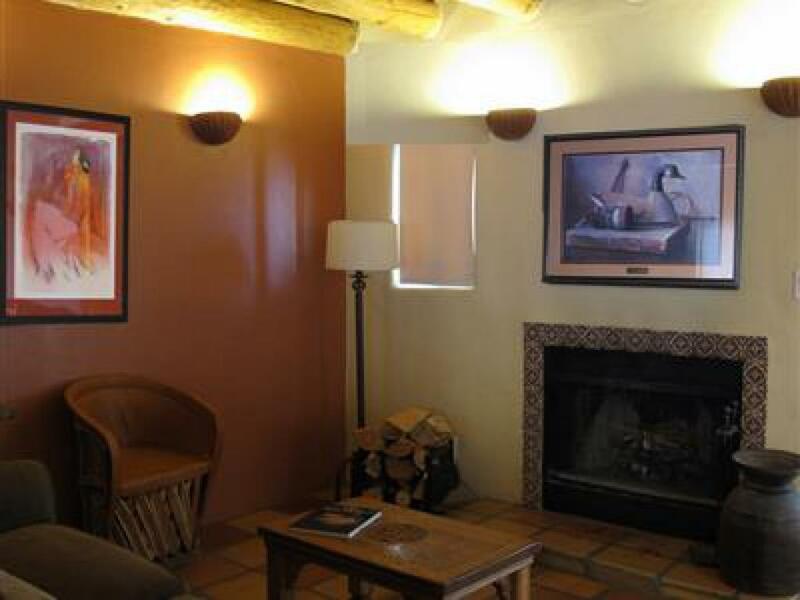 On site is local dining favorite, Cafe Abiquiu, offering breakfast, lunch and dinner daily. 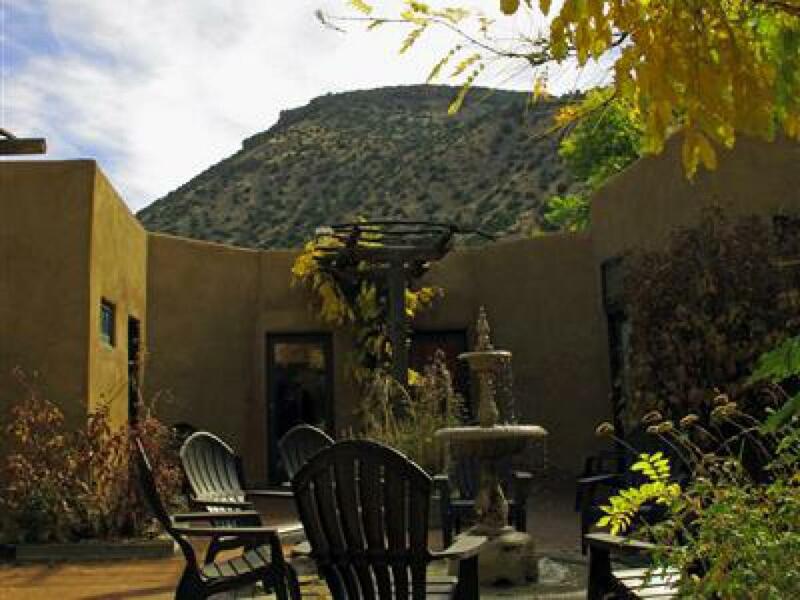 Enjoy delicious regionally inspired items served with New Mexican hospitality. 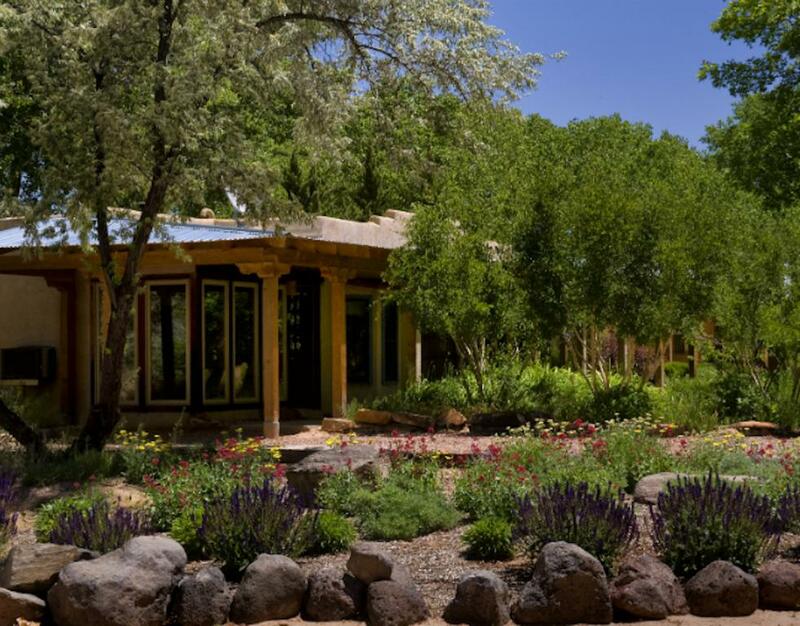 Whether coffee under the cottonwoods or a glass of wine under the stars, the outdoor patio is a terrific place to enjoy a meal and recharge for the next adventure. 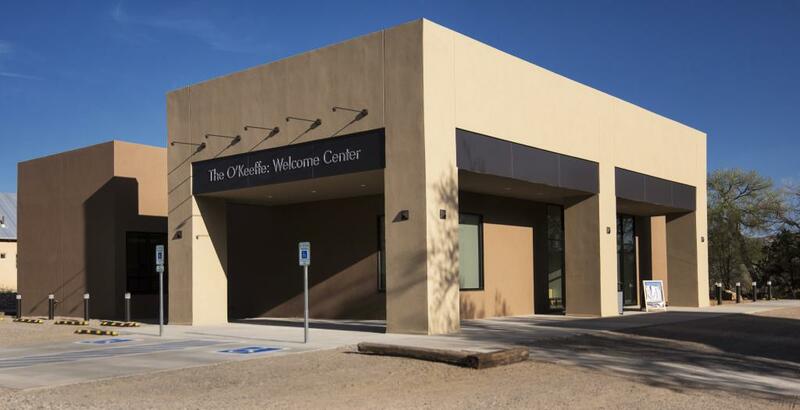 Located next door is O'Keeffe Welcome Center which provides tours of the Georgia O'Keeffe home and studio as well as information regarding this great American art icon. Tours depart regularly from March through November. Don't forget to stop in Azul, the Inn shopping experience! You are certain to find that one of a kind gift to remember you trip to this most beautiful place. 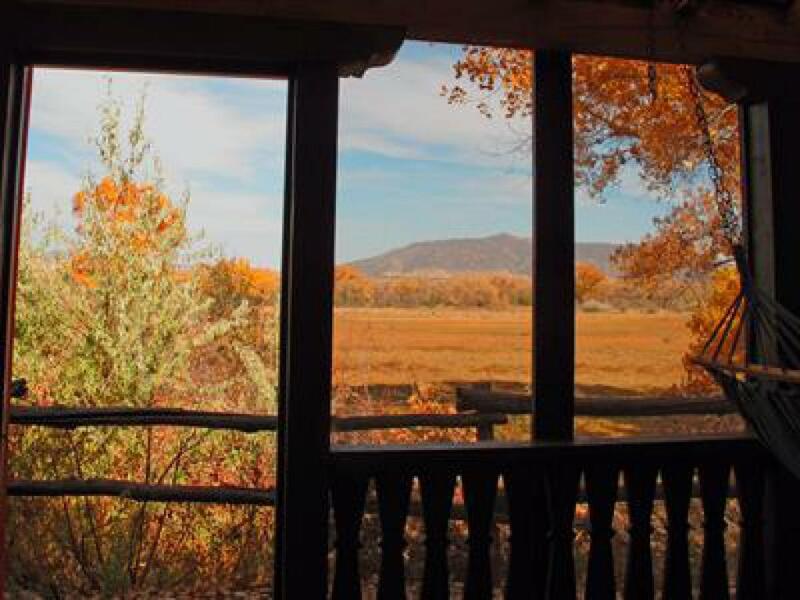 Art, jewelry, clothing and quality Made in America products you'll treasure for years. Abiquiú Inn will be on the right.